Three girls slipped and drowned in Buridihing river on Thursday at Margherita area in Tinsukia district while they were taking a selfie on their phones. 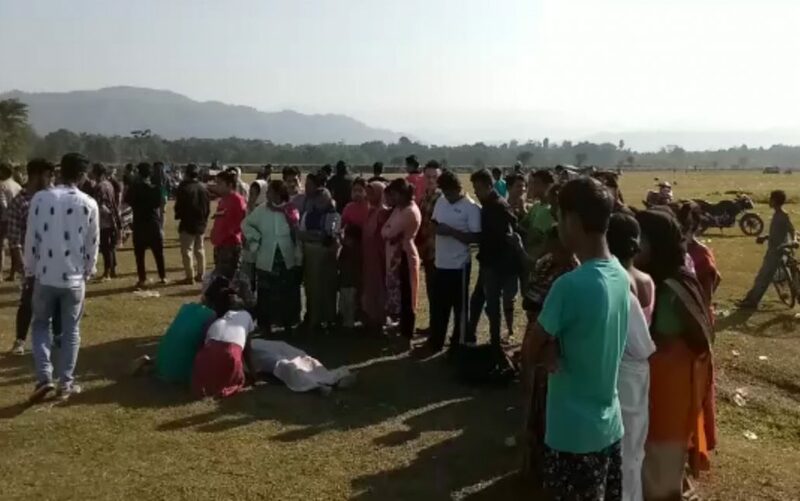 The trio—Elie Tamang, 16, Sujita Chetia, 15, and Shimashri Sonar–had fallen into the water while taking a selfie at Borgolai Jamadarbasti in eastern Assam’s Margherita. The three girls, who were students of Borgolai Adarsha Hindi High School in Margherita area, went to bank of the river for a picnic along with their friends. Later police with the help of locals rescued the bodies of the three girls. Police have sent the bodies for post-mortem examination. Eye witnesses told the police that the three girls were standing on rocks close to the bank of the river and tried to click a selfie but suddenly slipped and fell into the river. In December last year, two girls had drowned inBrahmaputrariver at Dishangmukh in upper Assam’s Sivasagar district after they fell into the fast-moving water of the river while clicking selfies. The two girls identified as Anjali Chetri, 17, of Ophola village in Dishangmukh area and Arati Chetri, 17, of Doomdooma had gone to Brahmaputra to immerse Puja items in the river around 11 am. After immersion, they were clicking selfies but suddenly they slipped from the bank and fell into the river.